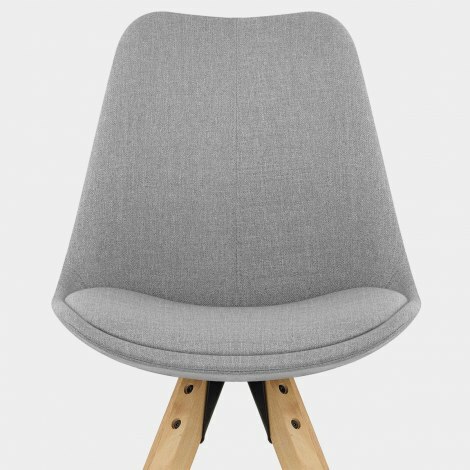 The Aero Dining Chair Grey Fabric is a contemporary design with a real natural aesthetic that echoes the popular Scandi style. Designed with minimalism in mind, the Aero is a simple yet stylish model for your kitchen or dining room. 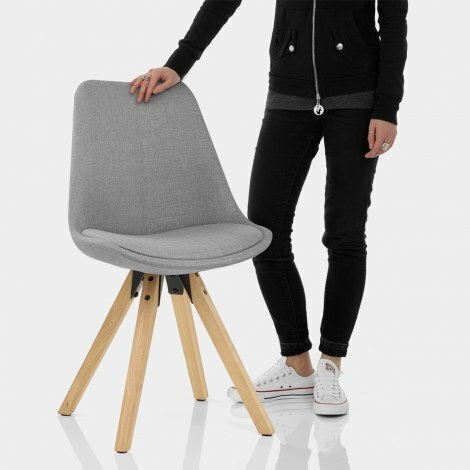 Upholstered in attractive grey fabric, the comfortable seat and ergonomic backrest are enhanced by a feature seat pad that offers plush style and support. Crafted from solid wood for strength and stability, the frame beneath is made up of four oak finished legs that gently taper outward to the floor, forming a funky pyramid style design. In addition to this, each leg is capped with a protective pad to help preserve your floor surfaces. "Look great but they are really comfortable"
Great value for money, created the look I wanted, brilliant service from Atlantic super impressed, thank you. Am very pleased with the chair which is as pictured and described. Service and delivery excellent. Thank you! 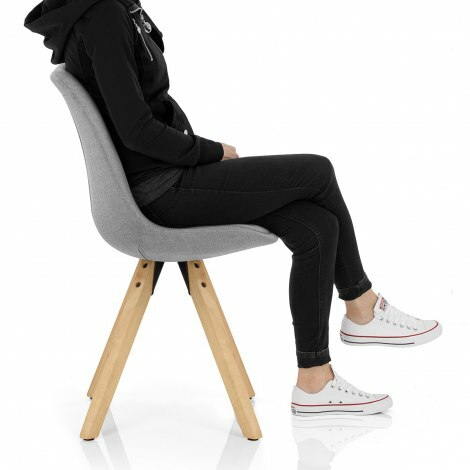 Love these chairs, easy to put together, quick delivery and very comfortable. We absolutely love the Aero Dining Chair, not only does it look great but they are really comfortable (which is uncommon in a dining chair). Next day delivery was excellent even through the chaos of the snow!